“eatsa, the unprecedented, fully-automated faster food experience, will open the doors to its second Washington, D.C. location at 1701 Pennsylvania Avenue NW on Wednesday, January 18. 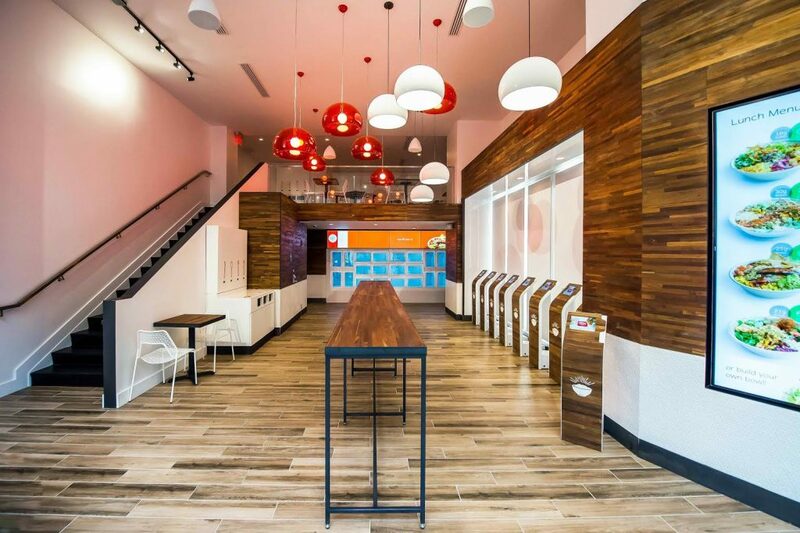 The new eatsa, just steps away from the White House, will be the first multi-level eatsa in the country and will include a mezzanine where customers can enjoy the brand’s customizable, healthy and flavorful quinoa-based bowls, delivered at an unbeatable price point. Lunch bowls start at $6.95 and include the Bento Bowl, which features edamame, stir-fry quinoa and apple-cabbage slaw and the Burrito Bowl, with guacamole, asada portobello mushrooms and tortilla chips. Breakfast is on the menu, too, as eatsa will open at 7am with breakfast bowls starting at $3.95, in addition to fresh fruit and yogurt parfaits. eatsa guests can order their meals via a first-of-its-kind automated food pick-up system featuring a collection of glass door “cubbies” that display personalized graphics and produce a customized meal within minutes. eatsa’s delicious, hearty bowls are great for quick breakfast, lunch and dinner options that provide a substantial amount of protein and are served in as quickly as 90 seconds. Guests can also skip the line by ordering through the eatsa mobile app. 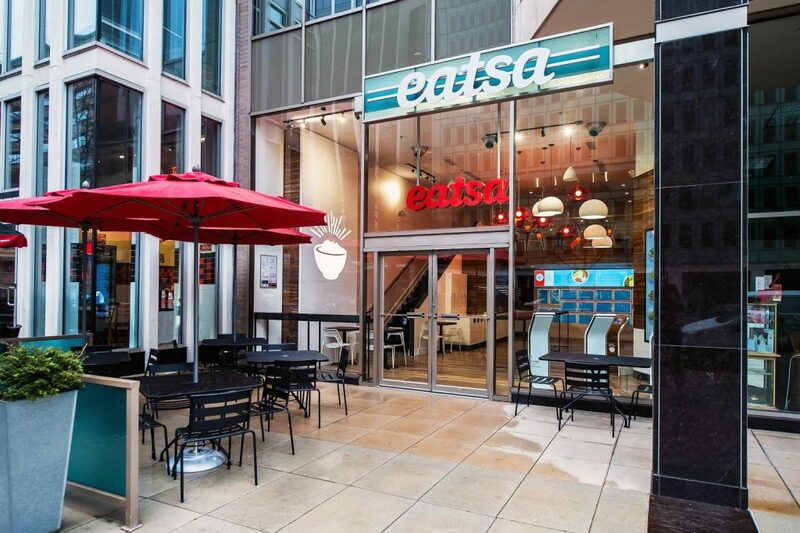 HOURS OF OPERATION: eatsa Pennsylvania Avenue will be open Monday through Thursday, 7am to 7pm and Friday, 7am to 6pm; eatsa K Street is open Monday through Friday, 7am to 6pm.